David Briley, sworn in Tuesday night as Nashville's mayor, would be the early frontrunner for this August's special election. Mayor David Briley, who was sworn in last night to succeed Megan Barry, has not yet said whether he'll try to hold onto the office. But with a short sprint scheduled to the August special election, there aren't many people who could mount a challenge. The fallout from Barry's surprise resignation, which came as part of a plea deal with the District Attorney's office, is only beginning to settle. But it set in motion what is certain to make busier a summer already energized by races for the state legislature, Congress and the governor's office. It's a completely different environment from the most recent mayor's race three years ago, when a long time to plan and a comparatively empty political calendar made for a wide field filled with unexpected faces. John Tighe, the finance director for one of those candidates, Linda Eskind Rebrovick, says it won't be that way again this summer. "It's people we know. It's people who have money," he said. "You have to have money. You can't run for an August election and not have the money already." One of the few people who does have the money is businessman Bill Freeman. He was another candidate who lost to Barry, and even before news of her extramarital affair broke, he'd hinted at running again. Another possibility is Davidson County Sheriff Daron Hall. He's been in office for 16 years and already has a formidable campaign apparatus. Still, Briley himself might be the leading contender. He'll have five months to establish himself as the city's leader. If he were to announce he won't run, it could open the door for a few more candidates. But the need to self-finance a countywide campaign or to have a countywide office from which to run from will limit the number of viable contenders. That makes it less likely that people such as Rebrovick or David Fox, the runner-up in the 2015 mayoral race, will run again. So far no one has announced, not even Briley. But one person who says he's not interested is Howard Gentry, another former vice mayor. He says he's focused on seeking re-election as criminal court clerk. 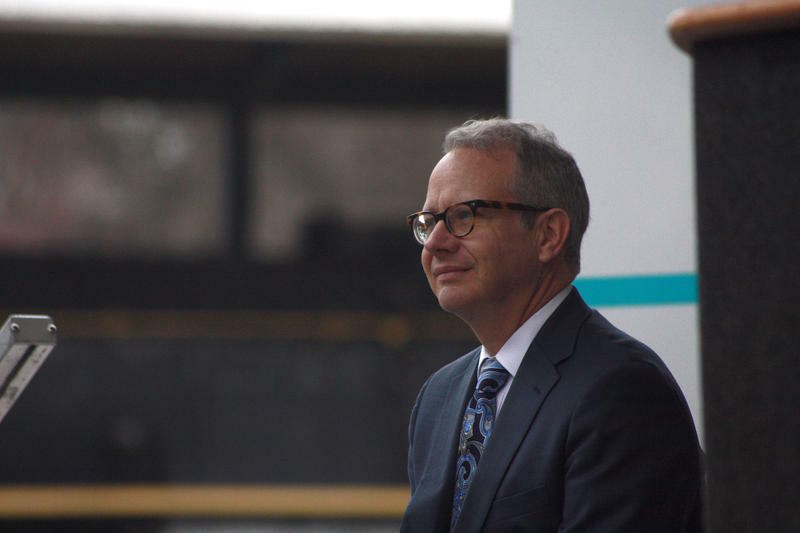 "My prayers and support goes to David Briley as he leads us, and I'm sure we'll be able to move forward as a city with David as our leader," Gentry said. 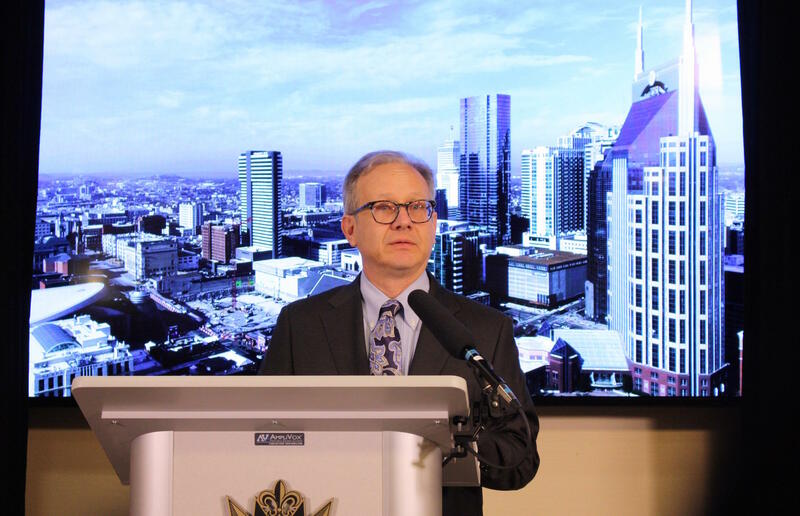 David Briley will be the new Mayor of Nashville. While it's a name that may be unfamiliar to some, Briley has been active in city politics for two decades and has family ties to the founding of Metro Government itself. 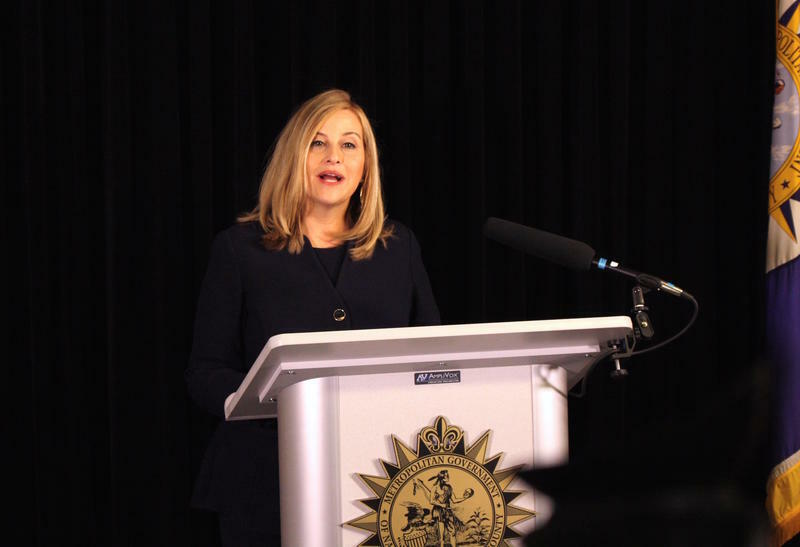 This post was last updated at 11:50 p.m.
Mayor Megan Barry announced her resignation at around 10 a.m. this morning, after pleading guilty to theft of property over $10,000 in court today. A Lasso, A Bow Tie, And A Superhero: What Does It Take To Get Noticed By Nashville Voters? It's not easy for candidates to get noticed in an election as busy as Nashville’s this year — with dozens of races and a packed mayoral field.